Hope for the cat, hope hope hope. Finding places here I've been told takes time, and finding one that allows a cat might take longer. Like... how long before someone moves out? Might be here a while, we'll see what luck brings. Life of Kabs comic to come soon. My personal life has been a localized chaos of moving and settling and starting a new job and personal time and stuff. For a while I had *REALLY* been itching to get at my chainmaille dragons, so I made Corbin, and then Charlemagne and Cleopatra. I've just finished making their adoption scroll, so I'll be taking a pic later. Spent a much needed morning lazing in bed and not doing anything. Tomorrow it's back on the cart and do some of the 'mandatories', like reading documentation assigned to me at work, and... whatever else it is that I have sitting in plain site for when I 'do it'. 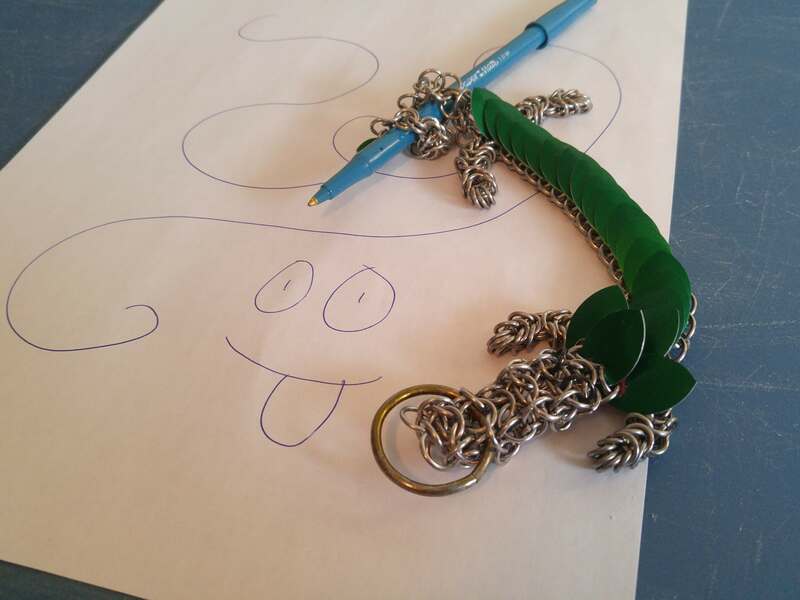 Mail things, or vacuum, or whatever it is that's taking time away from my chainmaille lol. Most sprites are property of Nintendo, who I'm hoping will still keep letting me continue this website. It's a parody, and free to boot! Did I mention they're awesome too? Comics, ideas, Kabutroid, and other custom content owned by KatieLynne Harder. I'm pretty easygoing, and really don't mind all that much if you make content based on my content or website. Just don't go impersonating me and we're cool.